Giesele Robinson Greene, M.D., was hired as the new chief medical officer at the five-hospital, Cleveland-based Sisters of Charity Health System and St. Vincent Charity Medical Center. Greene, an internist and a geriatric specialist, replaces Adnan Tahir, M.D., who was last September named the system's CMO and has practiced for 12 years at St. Vincent. Tahir is returning to his native Lebanon, according to a news release. Greene, 56, has been an active St. Vincent medical staff member since 1982, according to the release, and for the past four years has been the health services medical director at Cleveland-based UnitedHealthcare of Northern Ohio. Previously, she was the Midwest region medical director for Great-West Healthcare. She also has served as an assistant clinical professor with the Case Western Reserve University School of Medicine in Cleveland. 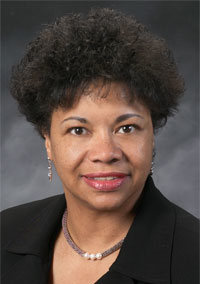 Greene earned her doctorate in medicine from Howard University in Washington.